The “Basin Reserve” sports ground in central Wellington is a well-known and unavoidable landmark, as a convergence point for four major roads which circle around its perimeter, as well as for fans of “the gentile sport”. However few are likely to be aware of its fascinating environmental history, and how it came to be a sports ground. 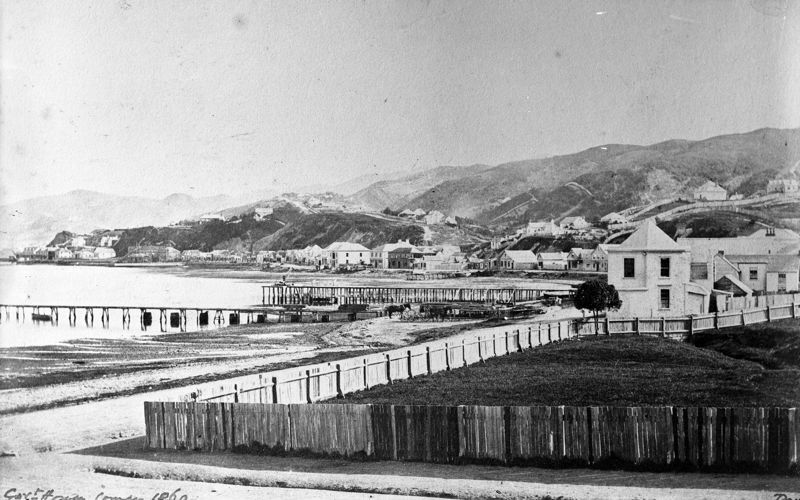 When the first European settlers arrived in Wellington around 1840 there was a shallow lagoon in the site that the Basin Reserve is now located, which was linked to the harbour by a stream following the route of what is today Kent and Cambridge Terrace. The colonists planned to turn the lagoon into an inland anchorage for the city. However, when a New Zealand’s most powerful earthquake on record struck in 1855, the area was raised by two metres and the lagoon instead became a swamp. The earthquake significantly changed the landscape throughout the region. 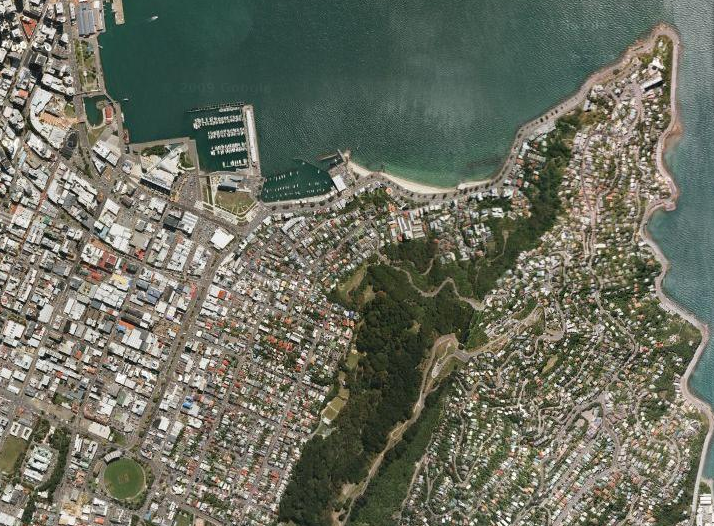 The uplift created a new fringe of beach and rock platforms along the Wellington coast (see photo below). Many jetties in Wellington Harbour became unusable, but there were also beneficial effects. Blocks of the city’s central business district now occupy land that was below sea level before 1855. The newly exposed strip of shoreline between Wellington and the Hutt Valley offered a safe road and railway route – parts of the coastal road had previously been impassable at high tide. The uplift of the region helped drain the swampy lower reaches of the Hutt Valley. Following the earthquake, plans to make the Basin Reserve a shipping basin were abandoned, and it instead became Wellington’s cricket grounds. A cricket supporter might suggest that this is a sure sign that God is a cricket fan, though an environmental historian could not possibly comment! Source/further reading: For an excellent overview of the 1855 earthquake, including interactive maps and sound clips visit Te Ara – 1855 Wairarapa Earthquake; Wellington Cricket – Basin Reserve History.